Liz Butler was born in Cumbria and educated at Liverpool College of Art and the Royal College of Art. 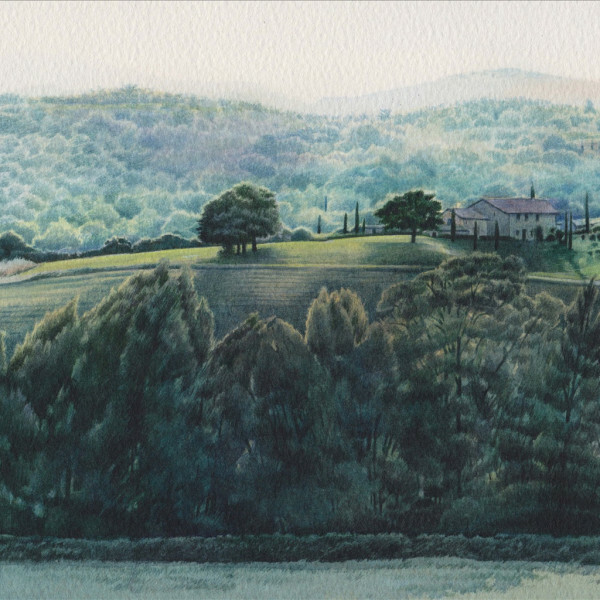 She is well known for her miniature paintings of gardens, and her use of pure watercolour. More lately she has expanded her scale to encompass larger scale subject matter. She has always been interested in man's role in changing the countryside and nature, which has recently led her to introduce figures into her new paintings of Morocco and Zanzibar. Her work is in several major collections including theGovernment Art Collection, Abbot Hall Gallery, Kendal, the Royal Collection, Harewood House and the National Postal Archive.